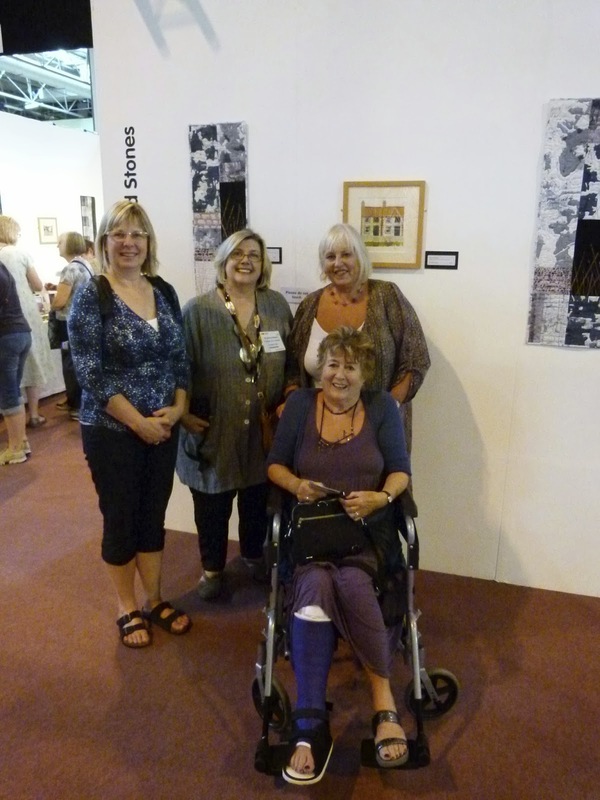 Maggie Vanderweit: Birmingham England, August 2013 Festival of Quilts! Birmingham England, August 2013 Festival of Quilts! 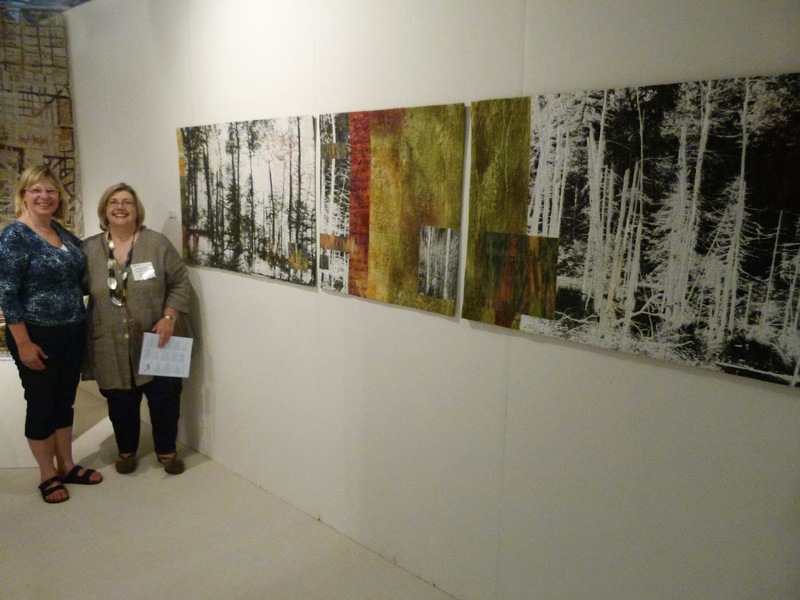 It was so thrilling to see my work along with the amazing pieces in the "Metaphors on Aging" SAQA Show that is travelling the world! Next stop was Johannesburg, South Africa - for the quilts, not me! 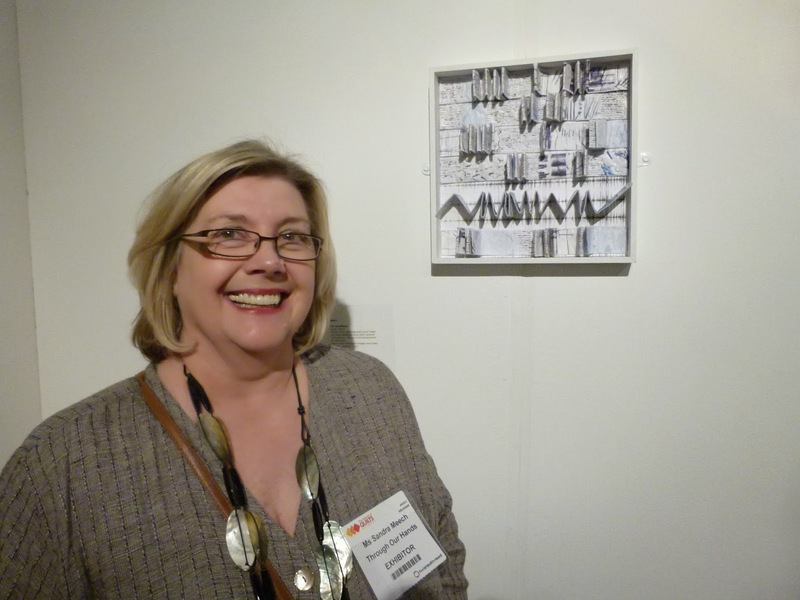 Sandra Meech creates spectacular, thought-provoking art. I love how she continues to be influenced by her Canadian roots. We had a grand time together. 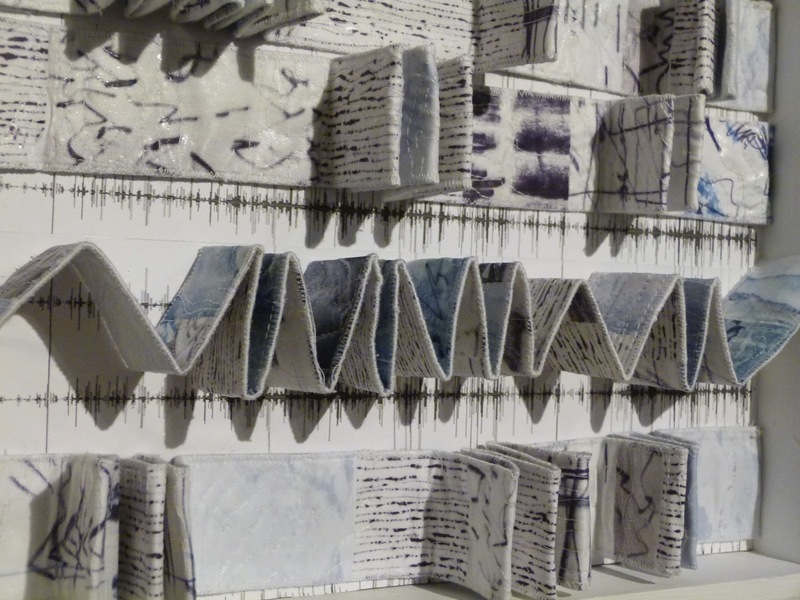 Sandra is exploring a new body of 3-D, sculptural work. It's really interesting! We had the privilege of running into and chatting with Jan Beaney and Jean Littlejohn at the show. Jan was recovering from a wee ankle issue and sported a colourful cast. If you don't know these artists, everything they do is fantastic! Check them out at Double Trouble. 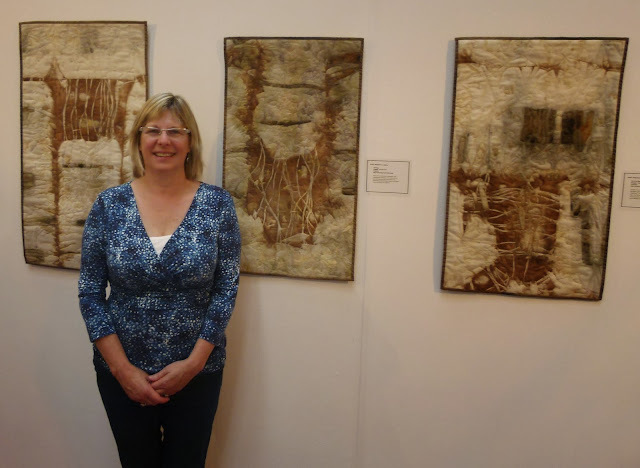 Great photos of 4 fab-tastic fibre artists ! Sandra's new work is, indeed, very interesting !